It’s had me thinking a lot about the eight inch scar from the top of my chest to inches above my belly button, a result of open heart surgery at the age of ten. And, because I’m a meaning maker, I’ve been looking for clues about how that experience connects to my passionate and purposeful work and life today. I was born with an atrial septal defect, essentially a hole in my heart, but we didn’t detect it until I was ten years old. 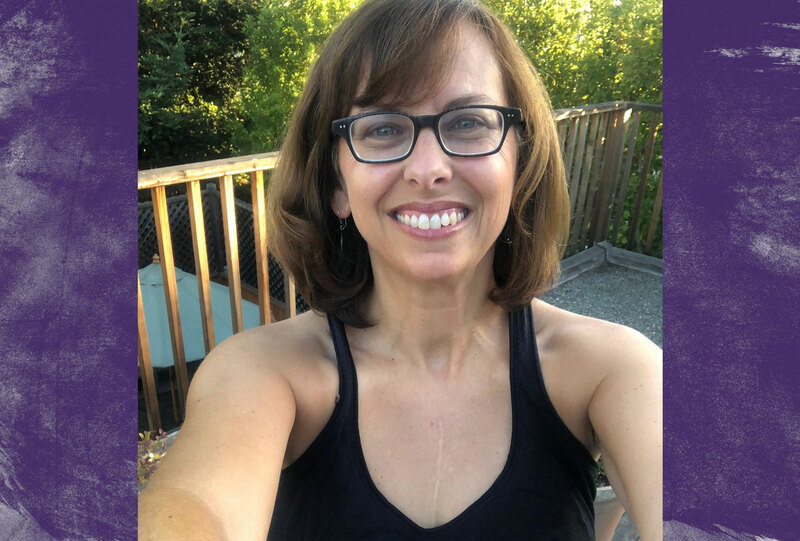 Within weeks of hearing the heart murmur, and determining the cause, I was in open heart surgery at Cedars Sinai in Los Angeles, having my hole repaired with my own tissue, sewn over just like a patch. It was truly miraculous. I had one of the only heart diseases that is 100% curable. And able to be fixed from something I had within myself. 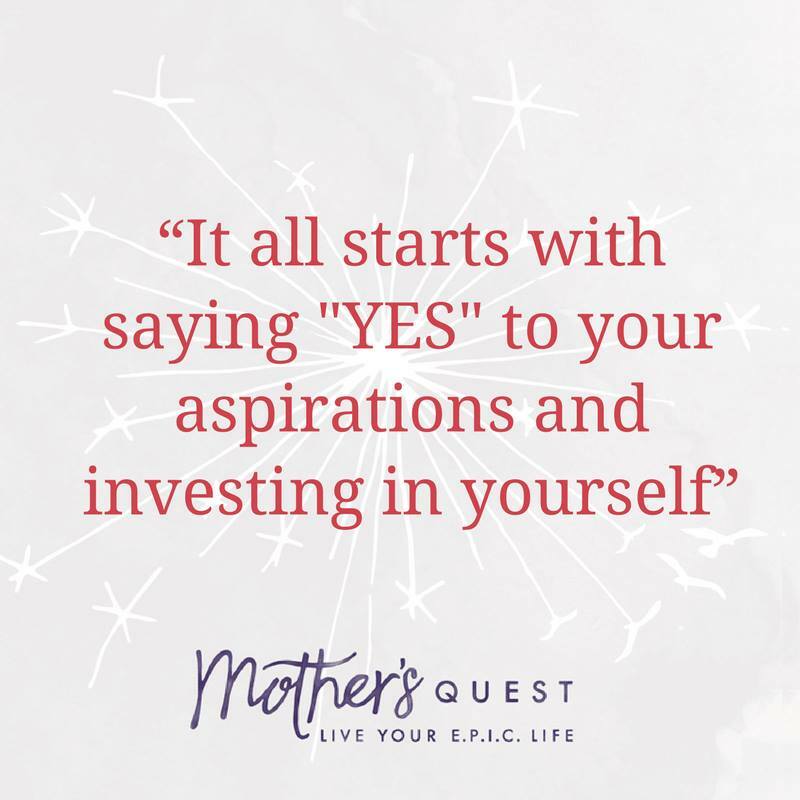 This idea…that we have what we need already inside ourselves is why I fell in love with the model of coaching, trained as a life and leadership coach, and have coaching as a core element of the Mother’s Quest community. When you work with me as your coach, I hold that you are resourceful and whole, even if there are parts of your life that need repair or shifting. And I believe the person closest to the truth of what you seek, and to the solutions to the challenges you face, is you. At the same time, I know that it’s very challenging, if not impossible, to tap into that wisdom and those solutions by yourself. A great coach can hold space for you to reflect, listen deeply, ask empowering questions that clarify, help you craft a plan of action, and provide accountability from a place of kindness. We can also share lessons learned from our own experience and offer powerful perspective that can shift your thinking. When I think about my heart surgery as a metaphor for living our E.P.I.C. lives, it’s true that my own tissue was the cure I needed for my hole. But, it’s also true that it would have been absurd to expect that I could open my own chest and do the repairing myself. That’s why I believe its a powerful investment to work with a coach like me. Why I feel in alignment when I charge money in exchange for my coaching to you. And, why I invest in coaching and mastermind circles for myself. One morning, after reflecting on all of this, I looked in the mirror and noticed I was wearing a tank top that revealed my scar. In a flash, the lesson and meaning of my experience came to me quite clearly, along with the realization that I was literally wearing a heart. So, I snapped a photo and share it with you along with this message and invitation to invest in coaching for yourself. 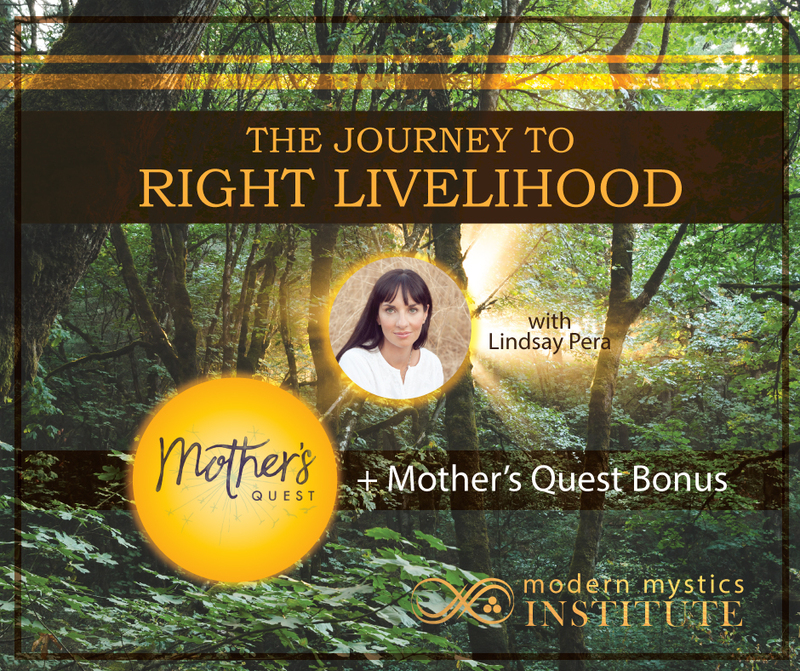 Over the next few days in the Mother’s Quest Facebook Group, I’m inviting you to learn about a program starting this Thursday provided by my own coach, Lindsay Pera, called Journey to Right Livelihood, some of the reasons why I value working with Lindsay, and lessons I’ve learned from her along the way. 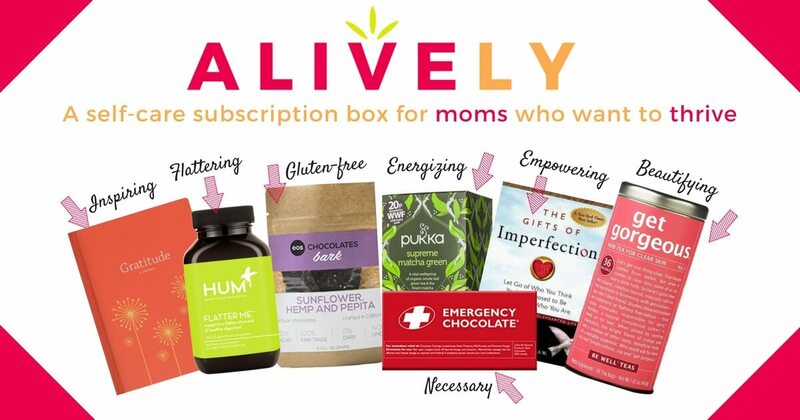 And we’ll explore how Lindsay’s Journey to Right Livelihood, along with some coaching bonuses I’ll offer as an affiliate, might support you. If you’re not yet a member of the Mother’s Quest Facebook Group, come on over and join us for a facebook live with Lindsay on Wednesday morning and more personal posts. 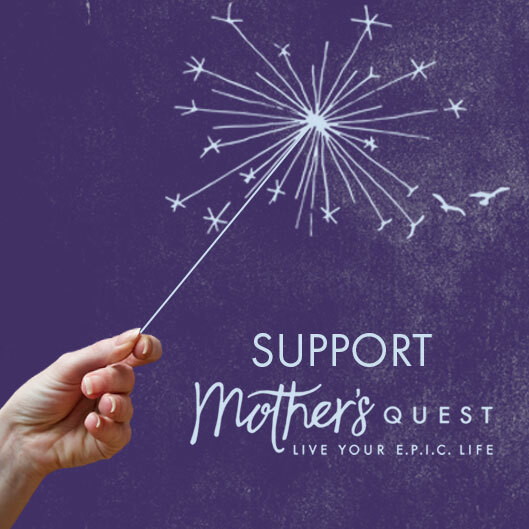 Visit www.mothersquest.com/community to join. I look forward to reflecting together on our quest for right livelihood, our answers within, and the power of coaching to help us live our E.P.I.C. lives. If you know you’re ready to learn more about Lindsay’s program, send me an email and I’ll get you the links to get more information and sign up. ✨Do you ever tell yourself that you can’t make money doing what you love? ✨Do you sometimes feel as though you can have financial success OR you can be happy, but you can’t have both? ✨Do you believe that you must sacrifice one for the other because they are mutually exclusive? 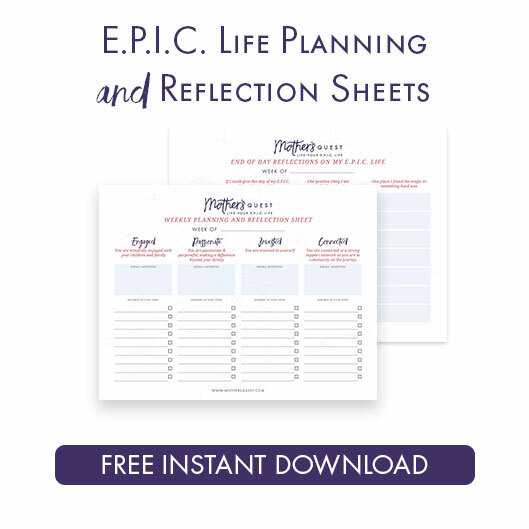 If you answer yes to any of these questions, or begun shifting your beliefs on these but still have days of doubt… my coach, Lindsay Pera, has a fall program, “Journey to Right Livelihood” that could be for you. I’m so looking forward to participating in Journey to Right Livelihood as a learner as well. And, I’m honored to be an affiliate and offer some special Mother’s Quest bonuses for any from my community who come along for the journey. We’ll explore this inquiry and move into action in our E.P.I.C. lives together. When you sign up with Journey to Right Livelihood will get a Mother’s Quest bonus. Interested in exploring other ways to work with me as your coach? You can sign up for a free discovery call and learn more.